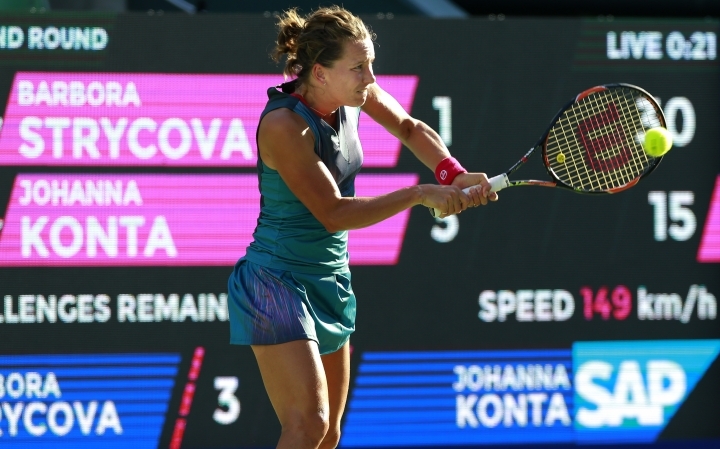 TOKYO — Barbora Strycova advanced to the quarterfinals at the Pan Pacific Open by beating fourth-seeded Jo Konta 7-5, 7-6 (5) Thursday. At 31, Strycova is the oldest singles player in this year's tournament and is making her eighth straight main draw appearance in Tokyo. She will next play Anastasia Pavlyuchenkova. Strycova was playing in her second match at the tournament, while Konta had a first-round bye. 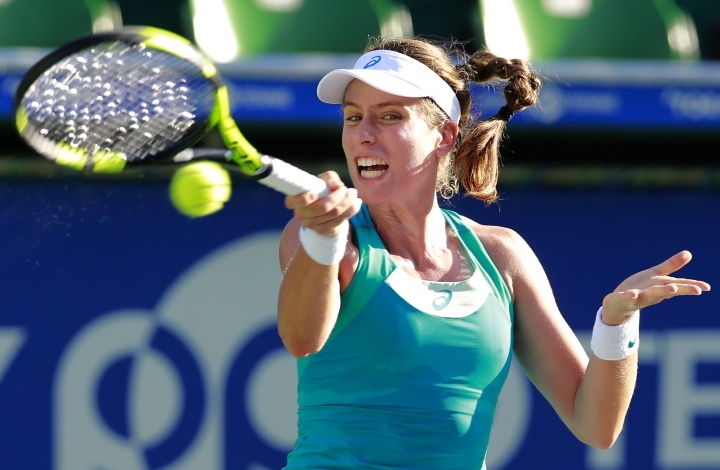 "I didn't feel I was as match fit as I would like, but given it was my first match in a while I didn't think I did that badly," said Konta, who is ranked No. 7. 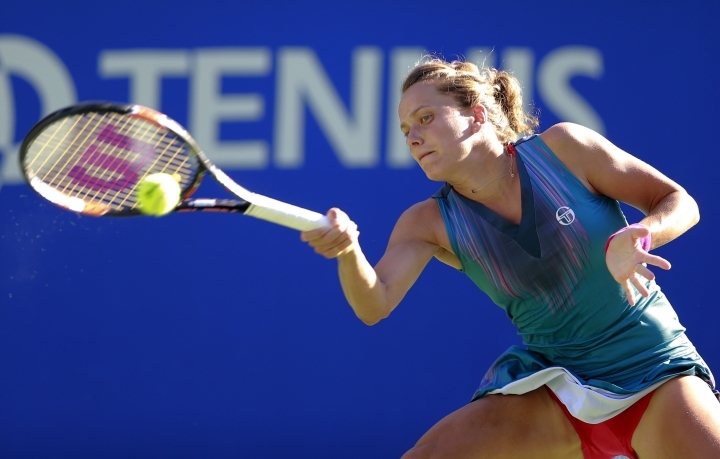 The victory was Strycova's first over a top-10 player in seven attempts this year. Defending champion Caroline Wozniacki, Caroline Garcia and Dominika Cibulkova also reached the quarterfinals. Wozniacki rallied to beat Shelby Rogers 4-6, 6-1, 6-4, while the fifth-seeded Cibulkova defeated Katerina Siniakova 6-2, 6-2. Garcia beat Kurumi Nara 6-1, 6-3 and will next face top-seeded Garbine Muguruza. Copyright © 2015 - 2019 Sports - Frontal Report. All Rights Reserved.